TICK TOCK: We were nosing around the SF MOMA Museum Store's new section, trying to find Mother's Day ideas, when we found something very intriguing for mom or dad or anyone who likes to be in the kitchen and put food in ovens. So, people in need of timers, basically. 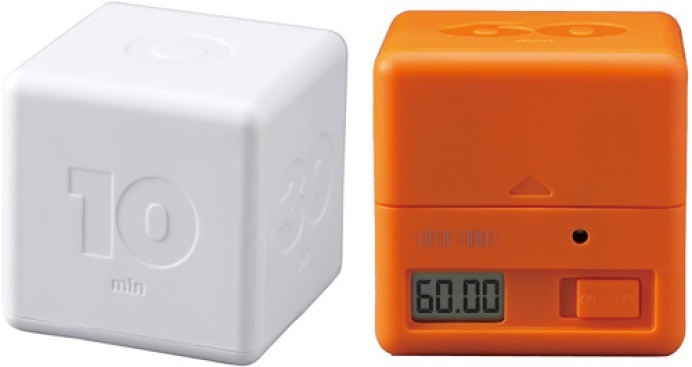 This cool Cube Kitchen Timer starts ticking when you turn it to the side with the number of minutes you need. RIGHT? Is that sort of putting tiny fireworks around your head with ease and simplicity? What we all need when the hands are covered with dough? It's $35.